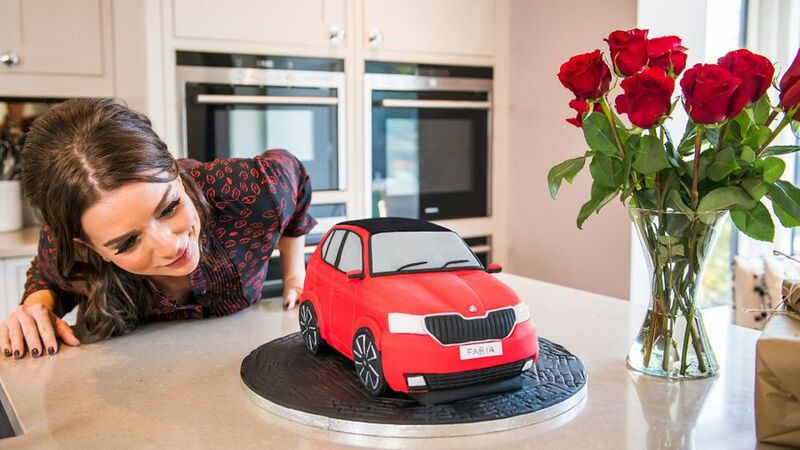 Remember the classic Skoda Fabia advert from 2007, where they made a life-size version of the car out of cake? It took ten days and weighed a tonne and a half. 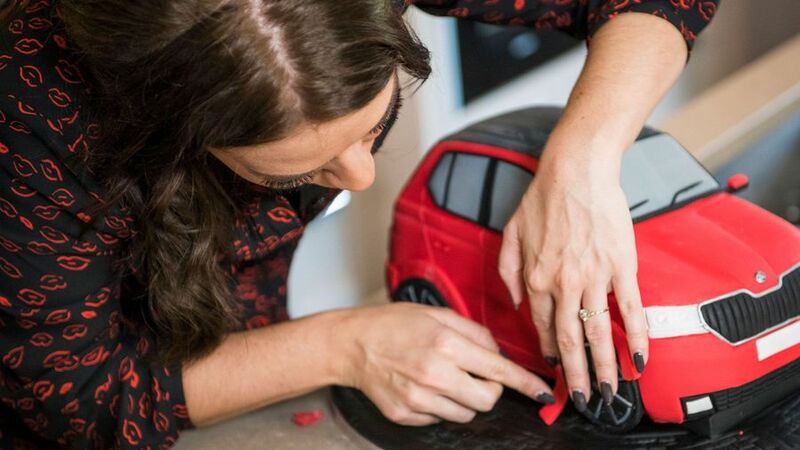 Well, Great British Bake Off winner Candice Brown has teamed up with Skoda to recreate a scaled-down version of the Fabia cake. Although the original was nearly four metres long and one-and-a-half metres high, the small-scale version can be attempted by you at home. If you’re inspired, the recipe is here, and you can even win a baking lesson with Candice. You just need to take a picture of your creation, and pop it on social media with the #FABIAcake hashtag. You’ve got until Monday 5 November to enter, so pop on Julie Andrews' My Favourite Things, and get baking. And if the Auto Trader team can do it, you definitely can. We did have the added bonus of Candice taking us through each step, but the pressure was on, and we got a little taste of what it must be like to be in the Great British Bake Off tent. Between being covered in icing sugar clouds, and getting stressed about whether our buttercream was fluffy enough, we managed to chat to Candice for five minutes about cars and cakes. My first car was a Nissan Micra Wave. What’s the best and worst car you’ve ever owned? Ooh I don’t know. I prefer things that are quite useful. I’ve had a Nissan Micra, I’ve just had a Skoda Citigo, I had a new Micra… that might have been the worst one as the back windscreen did implode on me, so that wasn’t the best… but I’ve now got a Nissan Navara truck which I quite like. It would be either an old Jaguar or an old Aston Martin from the James Bond era. Do you listen to music while driving? If yes, what would be your ultimate driving song? I listen more to audiobooks rather than music, but if I do listen to music I listen to things like Foo Fighters and Rolling Stones. They’re great to listen to while driving. But it is mostly audiobooks. How do you get your lipstick to stay so perfect at all times? I use a lot of matte lipstick so it doesn’t smudge, but it’s mostly preparation. I use a bit of foundation to prep around the outside, and then it’s just a case of keeping it on me at all times. (All of Candice's fellow Bake Off contestants baked her a cake for her recent wedding!) Did you manage to try a piece of all 11 wedding cakes you had? Yes! I managed to have a bit of every single cake. All the way around. We were still eating it the next day, so anything I hadn’t managed to try, I managed to have then. Are you watching the new series of Bake Off, and do you have a favourite contestant? I am watching the new series. I really like Kim Joy’s individuality. She’s getting on with it, going with the flow, being herself, and I really applaud that. That’s a really big and important thing, to be individual, and don’t forget yourself. Other than wedding planning, and your actual wedding, what else have you been up to recently? I’m still writing for the Sunday Times, I was at the Cake and Bake show, I’ve been working with [celebrity chef] Tom Kerridge on [food festival] Pub in the Park, Carfest, I’m off to Sweden, Australia in November… and I’m also working on my second book. So I’m keeping very busy! Interested in buying a Skoda Fabia?